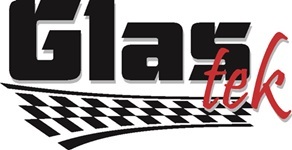 Glas Tek is a Black Canyon City windshield replacement and auto glass repair service company that prides themselves on their world-class customer service and the absolute best value. We serve all customers with unsurpassed high quality windshield replacements and yes we even come to you, the residents of Black Canyon City Arizona. We serve all over the valley every single day, and we have some of the most skilled auto glass specialists out there, who have at least a decade in the business of auto glass repair installation and repair. So who are you going to trust with your safety, in a rollover accident the windshield is about the only thing that is keeping you protected from the roof coming in. So just remember safety comes first, and when it comes to safety, value, and service your best bet is Glas Tek. Glas Tek offers the most competitive Black Canyon City windshield replacement price quotes in the industry. We prices all auto glass replacements off our costs. We provide free auto glass quotes online and we mobile to Black Canyon City residents for free! All our online prices include the labor and parts for repairing or replacing your windshield. If you have insurance, we have better news! We are approved Black Canyon City windshield replacement shop and will brig you $50 CASH at the time of service for just choosing us as your preference. No worries, we accept and honor all windshield replacement insurance carriers including Allstate, Geico, 21st Century, Farm Bureau, MetLife, Safe Auto and Farmers. 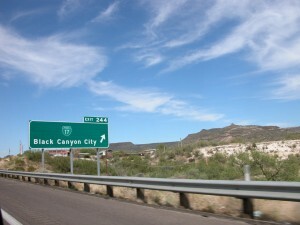 Black Canyon City is indeed a very beautiful and valuable part of Arizona. It also has a lot of history that is very important to Arizona. It’s filled with many places to explore, and plenty to do. Black Canyon City has been known by several names in it’s long history, including Canon, Black Canyon and Goddard. It use to be a stage stop between Prescott and Phoenix and was also a Military stopover while traveling to Fort Verde and Fort Whipple during the Territorial Days. Black Canyon City’s Woosley Trail was named after King Woosley, he was a early settler who was the first to bring a wagon in the mid 1860’s. Black Canyon wagon road and stage line where the best known trails. In 1872 a stage stop on Jack Swillings Ranch and Agua Fria River served the needs of that area. Prescott and Phoenix had stagecoach service until 1917. One of the most odd characters in the 19th century in Arizona’s history was Jack Swilling. He fought Indians, he was a farmer, rancher, entrepreneur, developer and some called him a hell raiser. 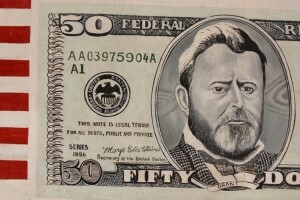 Jack Swillings came to Arizona from the South Carolina during the Civil War. He was the founder of Swilling Irrigation Canal Company, he re-open and us them to water the soil in the parts. His company started to clear ditches, this is what became Phoenix. He then began his mining career in Bradshaws. The ranch that he started in is now what you know today as Black Canyon City.